Several critics have discussed Bernard Malamud’s interest in Jewishness. My interest in his work, however, is not based solely on the topic of Jewishness in Malamud’s work; rather, it is also based on looking into how Malamud often addresses Jewishness by way of the schlemiel. Ruth Wisse has made important efforts in this direction in her opus The Schlemiel as Modern Hero. Sanford Pinsker has also made efforts to address the schlemiel in Malamud’s work in his book The Schlemiel as Metaphor. To be sure, these two works are the best scholarly accounts of the schlemiel available to us today. But both of them were written in the early 1970s. And though they provide great insights into Malamud’s work as it relates to the schlemiel, I feel that these insights can be built on by a scholar from our own time. To be sure, my reflections on Malamud’s work mark a gap: I am not from their generation of critics (to be sure, I was a baby in diapers when they wrote their books) and I am writing this commentary on the schlemiel in Malamud’s work four decades later. 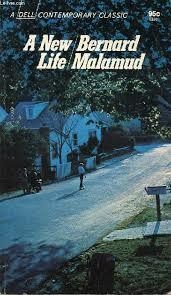 My insights, at least in this blog entry, look to find something relevant in Malamud’s work. Does it still speak to us? Does he touch on themes that are still of interest today? Or are we in a “post-assimilation” era which has “progressed” beyond the themes he once wrote on? 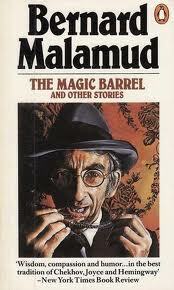 Malamud’s story, “The Lady of the Lake” – which appears in The Magic Barrel -presents us with a good test-case. To be sure, the story hits on themes that still speak to us, today. Malamud’s articulation of Jewishness, in this story, bring us into the consciousness of a Jewish character who would like to find out, for himself, if he is really a “free man” or a man bound by history (Jewish history). This test, to be sure, is played out by a schlemiel since, for Malamud, this kind of a schlemiel is…a schlemiel because he tries to outwit history. His desire to escape his Jewish history makes him into a schlemiel. To do this, he plays a masquerade which, in the end, fails to cover up his true identity. Henry Levin, an ambitious, handsome thirty. He receives an inheritance and decides to leave New York City for Paris “seeking romance.” And the reason he goes is because he is “tired of the past – tired of the limitations it imposed on him”(94). At the outset, the reader has no idea whether this “past” is personal, familial, or tribal. Immediately after noting this problem with the past, Malamud notes that Henry Levin, when abroad, changes his identity. At the hotel register, he signs his name as “Henry R. Freeman.” His name introduces his challenge. Like a modernist artist, he wants to create a “new” life and invent himself anew. To do this, he goes under an alias. As the story goes on, however, this alias is tested. He kept rowing though he felt risk. However, the waves were not too bad and he discovered the trick of letting them hit the prow head-on. Although he handled his oars awkwardly, Freeman, to his surprise, made good time. (97). 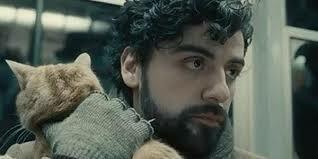 The reader will notice that Levin, now Freeman, is not a total schlemiel (of the nebbish variety). Although he “handled his oars awkwardly,” he does display skill and perseverance. And this shows that the narrator sees this change as exemplary of some kind of transformation as Freeman pursues an adventure whose end is romance. In the midst of these sad thoughts, he notices, for the first time, a mysterious woman on the edge of his vision. She disappears and is left with a sense of mystery and romance. This set’s up the plot since the woman he sees takes on reality and represents his biggest challenge: to fall in love with her and have her fall in love with him. But, to do this, he has to hide his past. The next day, he goes back to the island and notices that the tour guide and a tour are there. He describes the tour guide as a “sad-looking clown” who stabs with a “jaunty cane.” This comic figure is by no means arbitrary. When he glanced up, a girl in a white bathing suit was coming up the steps out of the water. Freeman stared as she sloshed up the shore, her wet skin glistening in the sunlight. (100). 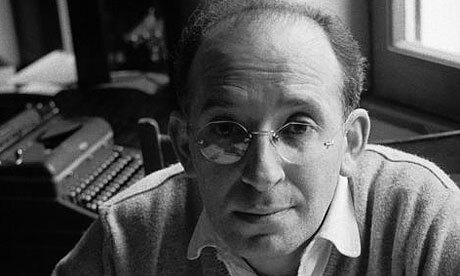 In response, Malamud tells us that Freeman “suppressed a groan” and was “secretly shocked” by the “unexpected question.” Yet, as the narrator points out, “he did not look Jewish and could pass as not – had”(101). So, “without batting an eyelash, he said, no, he wasn’t”(101). This moment is central to the text. He feels exposed but wants to hide this, as he wants to hide his Jewishness so as to find romance. But right when they are about to kiss, the guide, the “sad-faced” clown appears out of nowhere: “He gazed at them with astonishment, then let out a yell and ran down the stairs, waving his cane like a rapier”(102). He looks at Freeman and yells “transgressor,” yanked him away, and “whacked him across the seat of the pants”(102). Malamud’s decision to cast the figure of the “sad-clown” as a character who breaks the moment of bliss up is telling. It suggests a deeper motif that has to do with Jewishness. The sad-clown with a rapier parries Moses with his staff. He separates the Jew from Romance and Beauty. Freeman’s embarrassment is a testimony to the shame he feels. He feels as if he has lost. However, the “sad clown” doesn’t return. But, to be sure, one wonders, following this, if Freeman is the sad clown who doesn’t want to be a sad-clown. The next day, Freeman does his utmost to make amends and sends the woman, whose name is Isabella (think of Queen Isabella of Spain – who prompted the Inquisition), a letter. She agrees to meet. What ensues is a ruse. The whole time they are together, the narrator points out that she hesitates with Freeman. She seems to be hiding something? Is this because of his Jewishness? Does she distrust him and does she despise Jews? Why would she, immediately, ask if he is Jewish. This, to be sure, is the lingering question.